If you’re stranded food-wise, try my speedy canned tuna pasta salad. I always keep dried pasta and canned oil packed tuna on the shelf. 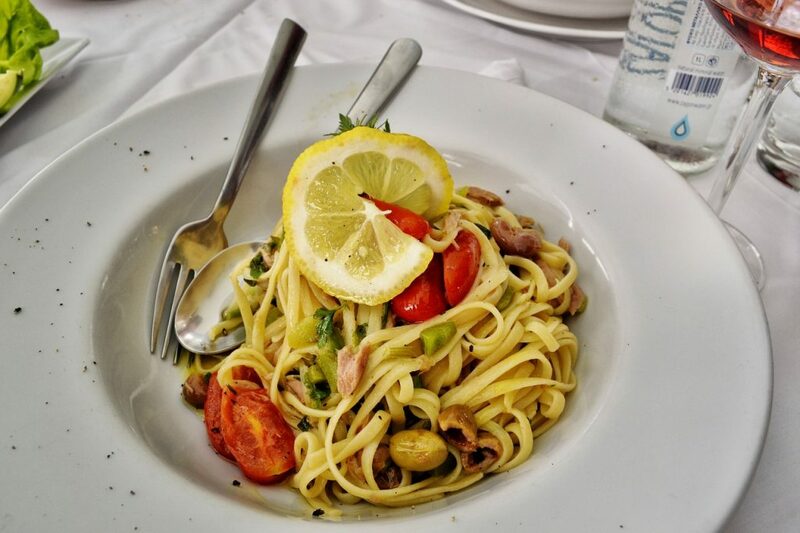 If my fridge is nearly empty, I cook up some pasta, add a can of oil packed tuna, freshly grated Parmesan or Feta cheese and a squeeze of fresh lemon juice with a little of the zest. I might even throw in some Kalamata olives and scallions if they’re around. And I always end up liking this simple dish as much as any of my carefully prepared meals. Many years ago, I saw Julia Child make this dish on Mr. Rogers Neighborhood and called it Marco Polo spaghetti. Listen to the Faith Middleton Food Schmooze on Connecticut Public Radio Thursdays at 3:00 pm and 9:00 pm, and Saturdays at 12:00 pm. Live streaming at WNPR.org.